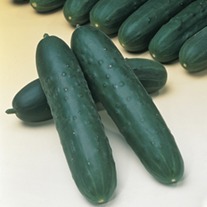 Cucumber plants delivered direct by D.T.Brown seeds. 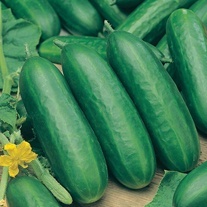 Greenhouse/Indoor Varieties: About three weeks after your cucumber plants arrive, their root systems will have filled the pots they are in. 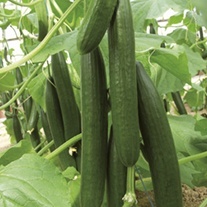 At this stage all varieties will be ready for planting out in a greenhouse, conservatory or polytunnel. 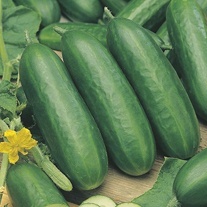 Around the middle of May cucumber plants should be planted singly in 25cm (10in) pots or into gro-bags (2 to a bag). 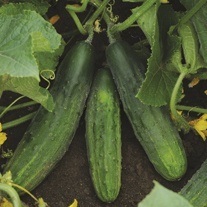 To avoid a build up of pests and diseases, it is best to avoid using greenhouse borders if you have grown cucumber plants in that position for two or more years previously, unless the soil can be sterilised or changed. 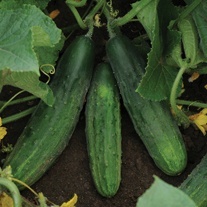 Grafted plants: Although these plants require similar growing conditions to those mentioned above it is worth noting that your grafted cucumber plants can be planted directly into their final location. 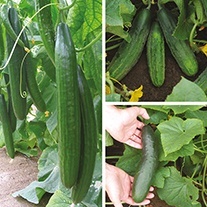 It is recommended that grafted cucumber plants are not grown outdoors. So for best results plant them into a greenhouse border after it has been prepared by digging in plenty of organic material (such as Orgro). If growing in containers the minimum size pot that is suitable is a 12ltr and if using a grow bag, plant a maximum of two plants per bag. 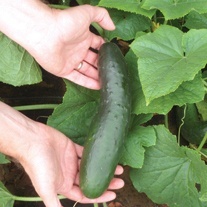 Please note: the grafted union must be kept above the soil level to ensure suckers and adventitious roots do not develop. 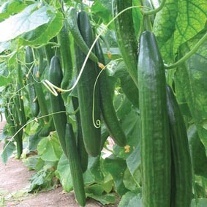 Outdoor Varieties: To avoid any build-up of pests or diseases, all these varieties are best not planted immediately after other plants of the same type. 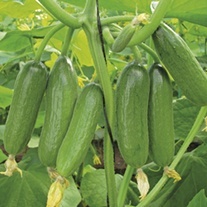 Cucumber plants grow best in a sunny site where the soil is well-drained. 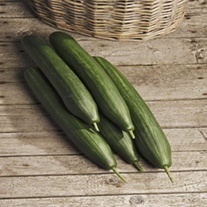 Ideally, use ground that was dug, manured and, if necessary, limed in the previous autumn or early winter. When planting, make holes with a trowel and, after inserting the plants, firm them in well. 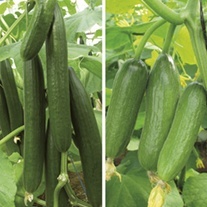 We recommend spacing cucumber plants approx 30cm (12in) apart in rows 45cm (18in) apart. After planting give them a thorough watering to settle them in. Unless stated otherwise, set each one so the top of the plug is just below the surface.